I literally had to stop at a CVS with Ahna to buy some chocolate and IMMEDIATELY devour it. I had to! That's me during lady times. 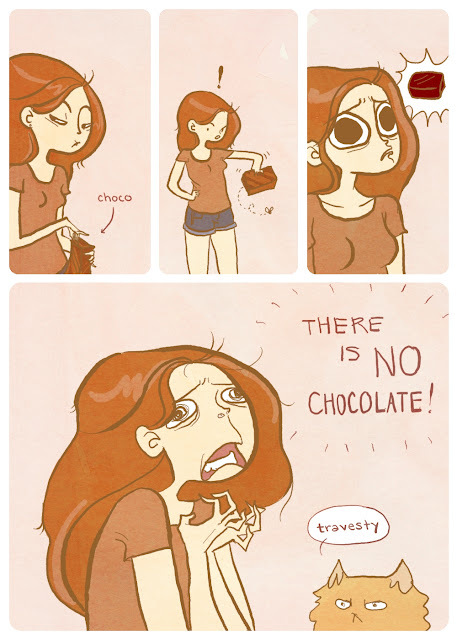 I'm not even one for chocolate most of the time. I love the colors of this comic.